Real Nappy Week 2017 has arrived, and with it, social media is about to explode with cloth giveaways and flash sales. 1. Cloth is so much less expensive! "We chose cloth to save money." - Mama Jessica. Most families will spend upwards of £1000 for each child using disposable nappies. Choosing cloth saves hundreds - if not thousands - of pounds, depending on how many children you have. 2. Cloth is better for the environment! "I was concerned about the environmental impact of disposables and wanted to do my part to contribute to improving things." - Mama Courtney. 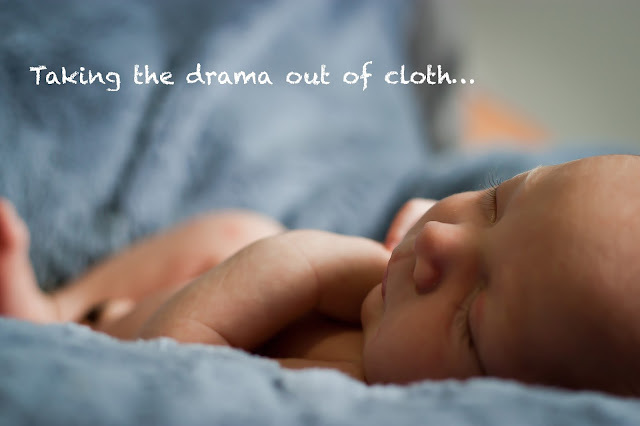 According to Go Real, by choosing cloth over disposable nappies, families could make up to a 40% carbon saving. 3. Cloth is free from harsh chemicals! "The biggest impact for me was getting away from the nasty chemicals that are in disposables." - Mama Ashley. Disposable nappies contain toxic chemicals, which have been found to wreak havoc on babies' sensitive systems. TriButylTin, for instance, is a known endocrine disruptor, while Sodium Polyacrylate contributes to Toxic Shock Syndrome. The use of Sodium Polyacrylate in tampons was actually banned in 1985...so why is it still in our nappies?! "The 6 week trail is a money back guarantee if the customer doesn't like using our washables after 6 weeks. All they have to do is wash the nappies and send them back to us and we will provide a full refund. Real Nappy Week has started to turn into a bit of a sale frenzy and we want to step away from that and get back to the core of why it started - to raise awareness of washables." And there's no better way to spread the cloth word than a no-obligations 6 week trial, right? You can find out more about the trial here: Little Lamb 6 Week Trial. "I choose cloth to save money (except when buying all the cute patterns!!)"